Ferrari’s decision to take up their option on Kimi Raikkonen for next season should clear the way for the remaining pieces of the driver market jigsaw to fall into place. But with the fate of the most coveted seat on the grid decided, will it unlock a flurry of activity in the driver market or will Ferrari’s spurned suitors quietly settle for what they already have? 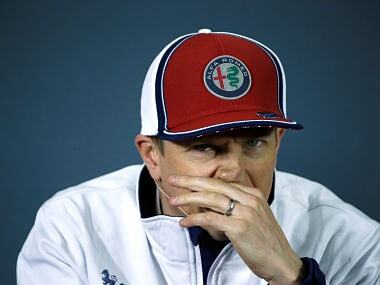 Speculation surrounding Raikkonen’s future has swirled for months now. Team-principal Maurizio Arrivabene made it clear as early as in Bahrain in April that Raikkonen’s future at Ferrari was in his own hands and down to his form on track. Since then, as lacklustre performance followed lacklustre performance, speculation that the Finn would be replaced only increased as did the list of drivers Ferrari were eyeing as his replacements. The Maranello-based squad’s top pick was said to be Williams driver and Raikkonen’s compatriot Valtteri Bottas. The Finn is highly-rated and has acquitted himself well, certainly in the car, but also in the way he carries himself outside of it. 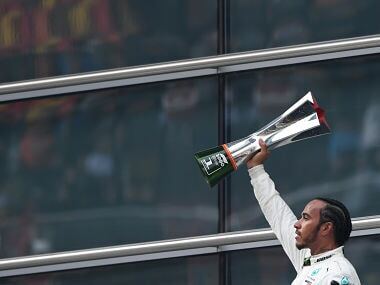 He has not comprehensively outperformed team-mate and former Ferrari driver Felipe Massa this season, a known quantity to the Italian squad and back driving at his best, but is regarded as a future champion-in-waiting. Williams has an option on him for the 2016 season and Ferrari would have had to have bought him out of his deal with the Grove-based squad. Discussions between the two teams to agree a fee reportedly took place. The soon to be 26-year-old who made his debut with Williams in 2013, has denied speaking directly to Ferrari and admitted at the Belgian Grand Prix that the rumours linking him to the Scuderia had proved distracting and were not the best for his relationship with his current outfit. Bottas is at that stage of his career where, having served his apprenticeship at Williams, he is now ready to move up to a ‘proper’ big team. He is impatient for wins and eager to fight for the championship. Williams’ return to form has been remarkable but they are still a little bit of a giant-killer outfit and in the process of building up to being a consistently front-running team. With the seat at Maranello now filled and no other competitive options available, Bottas looks set to stay. Even if he is as a result obliged to wait a little longer for victories, he is confident in the team’s ability to build a race-winning car. “I just feel I've made a good job with this car,” Bottas told reporters at the Spa-Francorchamps circuit. “I just want to be in a bit quicker car. Force India’s Nico Hulkenberg and Daniel Ricciardo were the other drivers tipped as potential replacements for Raikkonen. Of the two, a move to Maranello for Ricciardo has always seemed less likely. The Italian-origin Australian has never hidden how special it would be to one day drive for Ferrari. 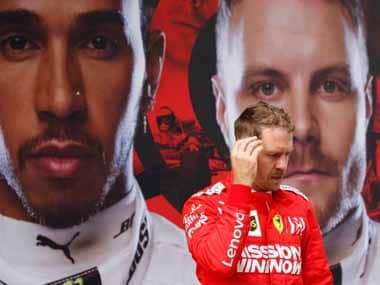 But Ferrari would have had work harder to extricate him from his Red Bull deal as the former champions would have been reluctant to let him go so soon after losing Vettel. Hulkenberg, meanwhile, admitted that he hadn’t gotten his hopes up too high. He has been linked to that second Ferrari seat twice before. The second time around the German actually had a contract on the table before the Scuderia chose to sign Raikkonen for the 2014 season. “I knew it was coming, and if there's no expectation there can't be disappointment,” said Hulkenberg, who won the 24 Hours of Le Mans this year in a World Endurance Championship cameo for the Porsche factory squad. Ferrari’s decision to keep Raikkonen on for another season has taken the sting out of the silly season. Had Bottas been signed instead, his move to Maranello would have set us up for a far more exciting game of musical chairs. The Williams seat would then have been the most coveted on the grid. 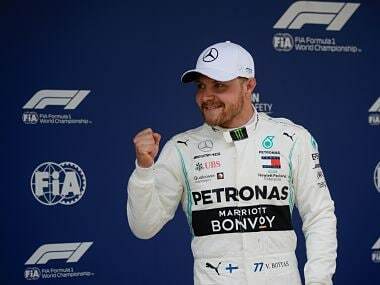 In the event Bottas moved, rumour had strongly tipped McLaren’s Jenson Button to return to the team with which he made his Formula One debut, which would have nicely bookended his career. Hulkenberg would have been another possibility, finally giving the German, who also began his career at Williams, his opportunity to dice at the sharp end of the field. However, as it now stands, Bottas is likely to stay at Williams, Ricciardo most certainly at Red Bull, while Hulkenberg is keeping his options open, including not ruling out joining the Ferrari-aligned Haas outfit set to make their debut next year. The biggest driver market upheaval could now come at McLaren. Fernando Alonso will stay on but Button’s future is very much up in the air. The team chose to retain the Briton for this season, sidelining 2014 team-mate Kevin Magnussen to a reserve role instead, and has an option on the 2009 world champion for next year. Further complicating matters, Magnussen is keen to return to racing while protégé Stoffel Vandoorne – currently setting the GP2 world alight – is also waiting in the wings. Four into two doesn’t quite add up and unlike a Mercedes or Ferrari, McLaren don’t have customer teams with which to place a young driver to learn the ropes. It will be interesting to see how things fall into place there. 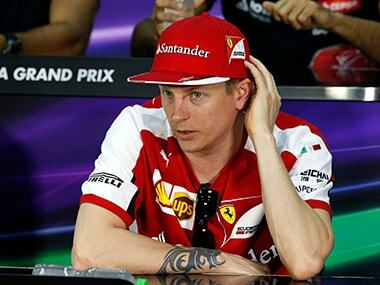 The question mark surrounding Raikkonen’s future generated a lot of hype, excitement and speculation over the summer. But after all the anticipation the Formula One landscape, it seems, will be little changed next season. However, Raikkonen’s deal extends only into 2016 and Ferrari are perhaps marking time, waiting for the driver they really want to go on the market. Beyond that, which way the dominoes fall is anybody’s guess.